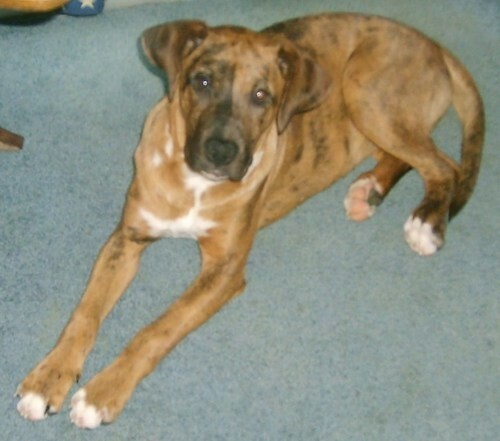 "This is our 8 month old Catahoula Leopard / Boxer mix named Brownie. She is a very energetic puppy who loves to run and play with our Puggle Cookie. She loves to dig and she chews on everything she can get a hold of. We live in the country so she does lots of running. We love her very much." 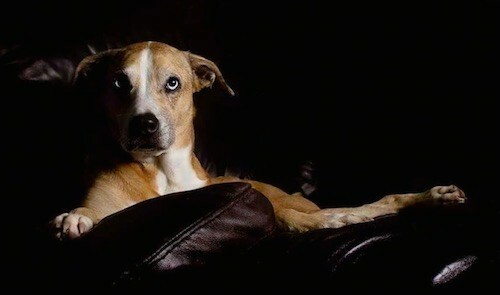 "Here is a picture of my Catahoula Bulldog Mix. Her name is Sapher. Pronounced Saaaaf-er. She is 6 years old in this picture. She is a rescue. We love her so very much. She is very smart and eager to please."